Thirty thousand Japanese gamers awake one day to discover that the fantasy world of Elder Tales, an MMORPG that was formerly their collective hobby, has become their cold hard reality. Severed from their everyday lives, they confront a new horizon filled with ravenous monsters, flavorless food, and the inability to die! 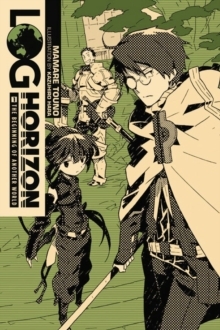 Amid the chaos, veteran gamer Shiroe gathers his friends, the guardian Naotsugu and the assassin Akatsuki, and together they embark on an adventure to change the world as they know it!